Whether you are going on an out of the country vacation or a simple short trip, your smartphone is your only source of entertainment and information. This is why many travelers download different travel applications into their mobile phone before hitting the road. There are many travel applications that can be used while exploring a destination. Some of these are free while others require you to pay a few bucks before you can use it. 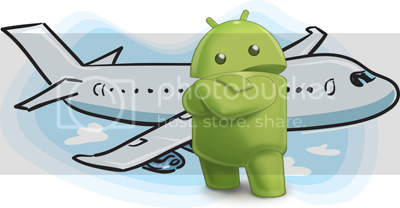 Reliability is one of the things that people have to look for when checking out Android travel apps. You don’t want to get stuck in an unfamiliar place, out of your comfort zone, without any helpful applications on your smartphone to keep you busy. For business travelers, Expensify is one of the essential apps that you can install on your mobile phone. It allows users to scan all of the receipts that they have accumulated during their travel. This way, they can easily upload and compile these receipts and use it for expense reports. This is a free app for basic use, which includes 10 free scans for a month. You will never have to go to the nearest casino in town just to be able to play poker and other casino games. With this free gaming app you can enjoy playing poker everywhere you are, at any given time of the day. You can enjoy playing unlimited poker games by simply downloading the free app and installing it on your smartphone. You can either play for “Real Money”, “Play Money”, or “FastForward.” The good thing about this application is that you don’t have to look for a Wi-Fi connection since the app can be accessed via 3G connection. But if you want a faster and smoother gameplay, Wi-Fi access is recommended. With this gaming app at hand, you will never get bored while roaming around Rome or Paris during your vacation. Looking for an Android app that can help you organize your travel plans into a convenient itinerary? TripIt is the best app to do this task for you. You can forward all of your travel confirmation documents to plans@tripit.com. The service will then make a travel plan that you can use and sync it with the calendar on your smartphone. This is a free application brought to you by Google, and you can use it to find places. It has a one-of-a-kind mapping and 3D rendering that is very useful when searching for the exact place where you will be going to. There are many travel applications that can keep you intact on your smartphone. As it is your only device of getting infotainment. Besides the above mention apps there are few more as per my usability which can be very much useful in travel such as Swiss traffic road live, On the fly, Trip Advisor, Hotel Tonight etc.